There are times when something becomes so clearly evident; it becomes difficult to ignore. For a lot of Tesla’s longtime critics, this would be the company’s lead in the EV market. Tesla proved that it could compete in the auto market in 2018. According to a fund manager who beat the markets last year, though, 2019 could be a year where the gap between Tesla and its competitors would widen even further. ARK Invest founder and CEO Catherine Wood was recently featured on a segment of CNBC’s Fast Money. During her appearance, the ARK CEO, who holds an almost unreal $4000 long-term price target for Tesla, was asked if the influx of electric cars from traditional automakers would be a problem for the Silicon Valley-based carmaker. Wood noted that such a scenario would be unlikely this year, since Tesla holds three particular advantages over its competitors. “We believe that the transportation industry is going to shift wholesale to electric, and Tesla is ahead of the pack,” she said. 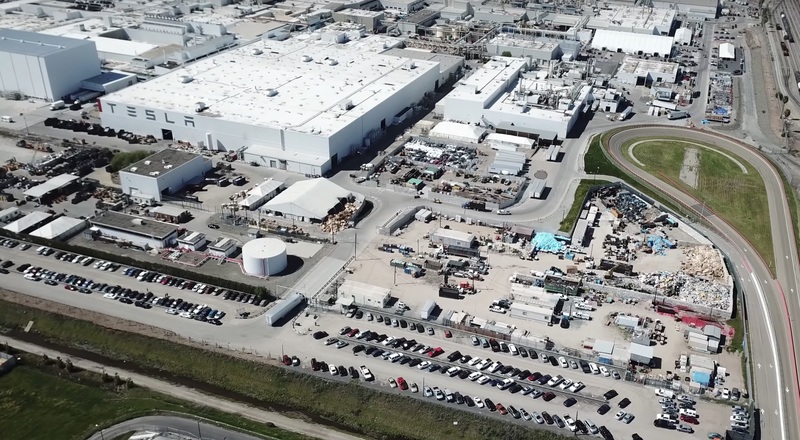 Wood later explained that Tesla’s strengths come from its capability to produce battery cells for its vehicles like the Model 3, thanks to the Nevada Gigafactory and its partnership with Panasonic. The ARK founder also mentioned that Tesla’s use of cylindrical lithium-ion battery cells benefits the electric car maker’s finances, since most competitors from legacy auto are prone to using lithium-ion pouch cells, which are usually more costly. “Tesla is riding down the consumer electronics cost curve, which is much, much lower than that lithium-ion pouch. They’ve done an amazing thing from an engineering point of view no one else thought was possible. That puts them way ahead of the game,” Wood said. Apart from its edge in batteries, the ARK Invest CEO pointed out that Tesla’s development of its custom hardware and the company’s tendency to constantly innovate would play a key role in establishing its lead in the EV market. Wood notes that other carmakers would likely rely on the hardware of companies like NVIDIA, which are powerful but follow a more conservative design cadence of 3-5 years. As such, it would be difficult to catch Tesla’s pace of in-house innovation. Lastly, the fund manager stated that Tesla’s billions of real-world Autopilot miles also gives the company an edge over competitors. This data, Wood noted, is ultimately what will power an autonomous vehicle in the future. In this regard, Tesla is the undisputed leader, with the company announcing late November that its fleet has driven over 1 billion miles on Autopilot. This is something that other self-driving car companies such as Waymo or Cruise Automation does not have. This particular edge was mentioned previously by Nidhi Kalra, a senior information scientist for the RAND Corporation. Previously addressing Waymo’s vehicles, which have racked up billions of miles in simulation, Kalra noted that there is no replacement for data gathered in actual roads. “The problem with any simulator is that it’s a simplification of the real world. Even if it stimulates the world accurately if all you’re simulating is a sunny day in Mountain View with no traffic, then what is the value of doing a billion miles on the same cul-de-sac in Mountain View? I’m not saying that’s what anyone’s doing, but without that information, we can’t know what a billion miles really means. Real-world miles still really, really matter. That’s where, literally, the rubber meets the road, and there’s no substitute for it,” she said. In a way, though, the emergence of competing electric cars bodes well for Tesla. Elon Musk himself, after all, admits that the company exists to accelerate the advent of sustainable energy. In a recent appearance at CBS’ 60 Minutes alone, Musk boldly stated that he does not even mind if Tesla gets beaten by a company that produces superior electric vehicles. “If somebody comes and makes a better electric car than Tesla, and it’s so much better than ours that we can’t sell our cars, and we go bankrupt, I still think that’s a good thing for the world. The whole point of Tesla is to accelerate the advent of electric vehicles and sustainable transport. We’re trying to help the environment; we think it’s the most serious problem that humanity faces,” he said. For now, though, Wall Street appears to be looking at Tesla with optimism. As of writing, Tesla stock (NASDAQ:TSLA) is up 3.99% at $347.74 per share.